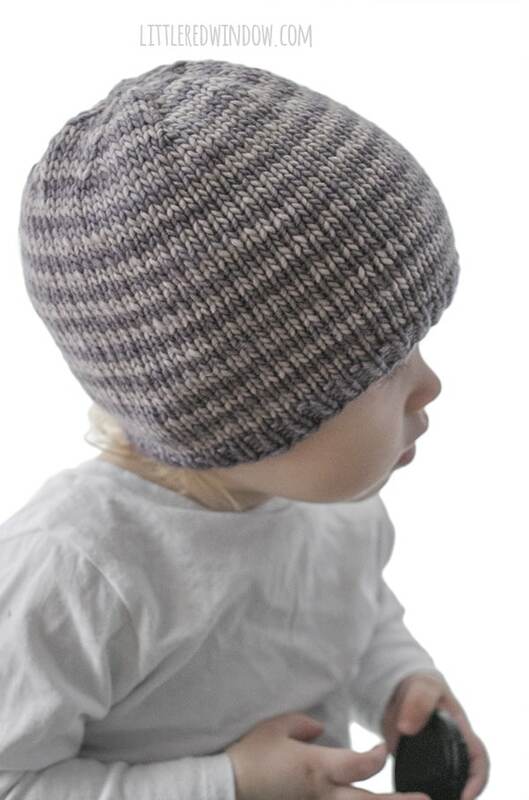 This easy striped baby hat knitting pattern can be customized in a million different ways for the newborn, baby or toddler in your life! 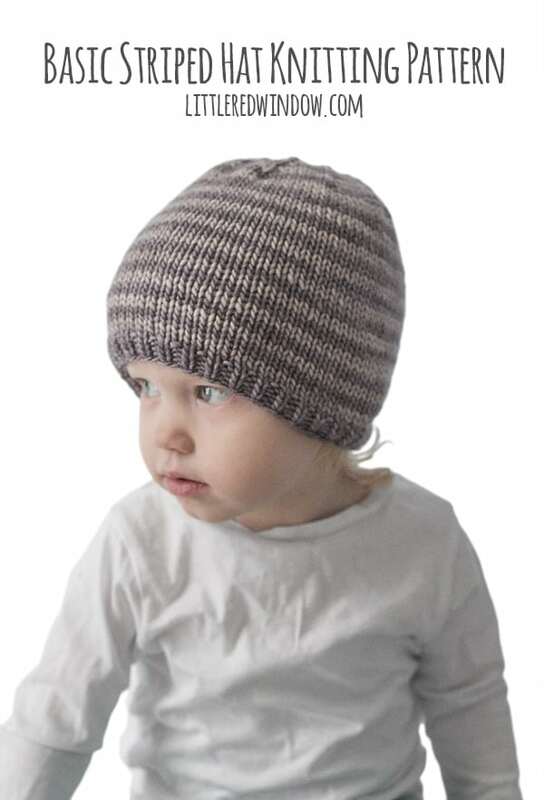 Hey there, I’m glad you’re here to check out my easy striped baby hat knitting pattern, it’s the third week of my back to basics series and this is a cute one! 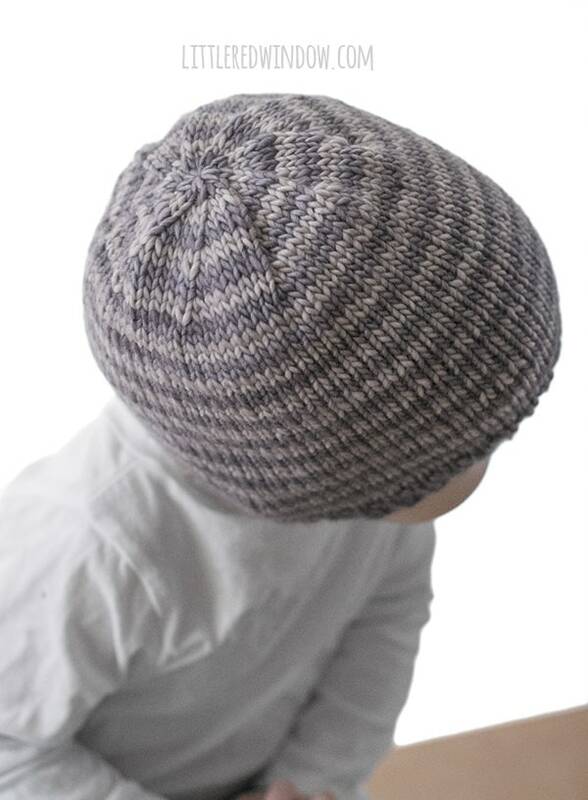 I love a good striped baby hat, because it can be customized endlessly just by choosing different colors! 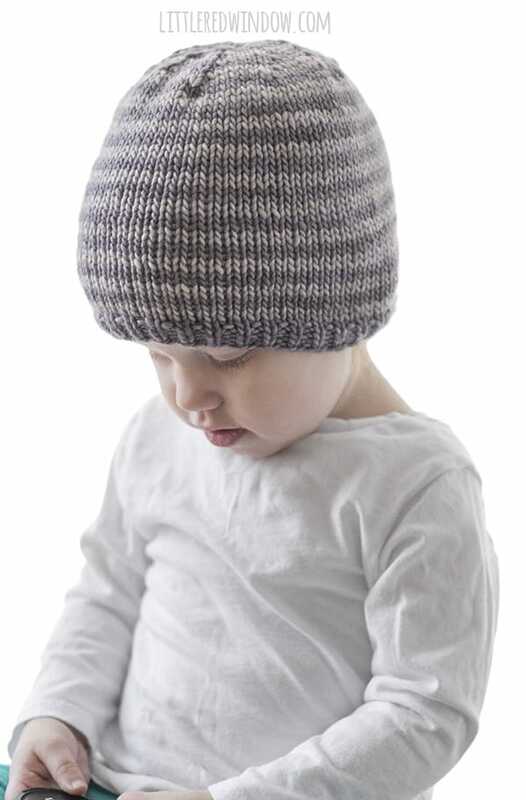 For this sample easy baby hat knitting pattern, I went with a nice neutral light and dark warm gray (called Frost Gray and Pearl which are just lovely color names). And that makes a really adorable gender neutral hat. You could also go with shades of yellow or green if you’re making this easy hat pattern for a baby shower. Know the gender of the little recipient? Then go with bright pink and light pink. Or light blue and dark teal..
Or hey, if you’re really into the Packers (I mean, I am from Wisconsin, after all, give me a break) make it in green and gold! OR even better, if your family is into a certain boy wizard and his magical wizarding world, you can knit this up in the house colors of your choice (let’s be honest, everyone chooses maroon and gold…) It even looks cute and stripey all the way up to the tippy top! 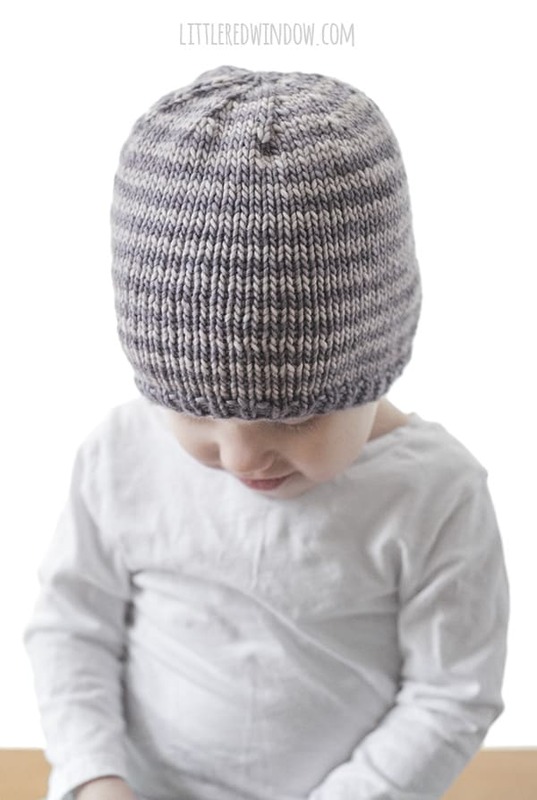 I think you get the point, the options are practically infinite and I hope that this simple striped baby hat will quickly become a go-to basic baby knitting pattern in your pattern library! 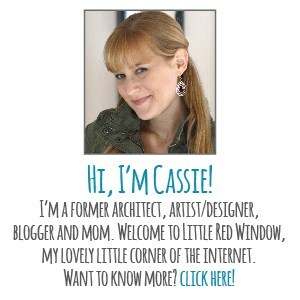 Using long-tail cast on, cast on 72 stitches onto your circular needles with color A. Join to knit in the round and knit 1 stitch, purl 1 stitch in a rib stitch for 4 rounds. Switch to color B and knit all stitches for two rounds, then switch back to color A and knit two rounds. Continue on in this stripe pattern, two rounds in A, then two rounds in B, until the hat is about 5 inches long. Begin decrease after two rounds of color B.